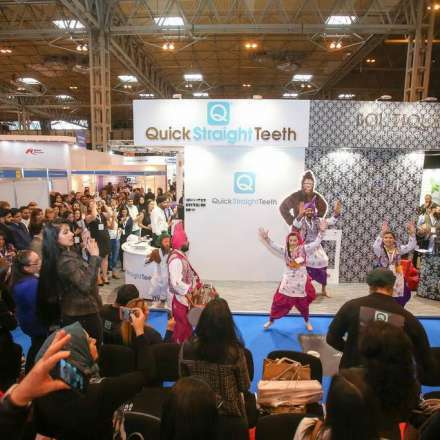 The National Exhibition Centre’s annual Dentistry Show is the UK’s biggest free education and trade event for the dental profession, so the event space attracts all the big names. 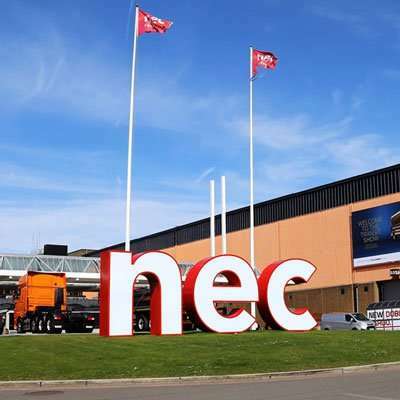 And, if you’ve never been to the NEC, that’s a pretty huge event space. 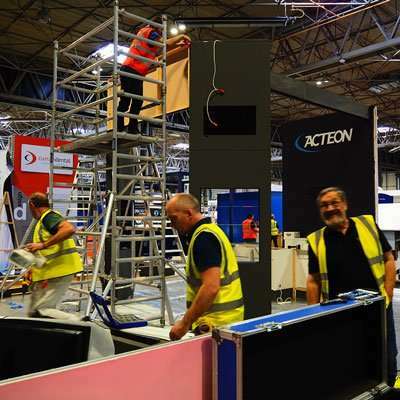 Obviously, for exhibition specialists like Rounded Edge, the NEC is a favourite stomping ground and we regularly zoom down the M1 from our HQ in Skipton to help clients of all sizes build their exhibition stand or space that they’ve designed with us. 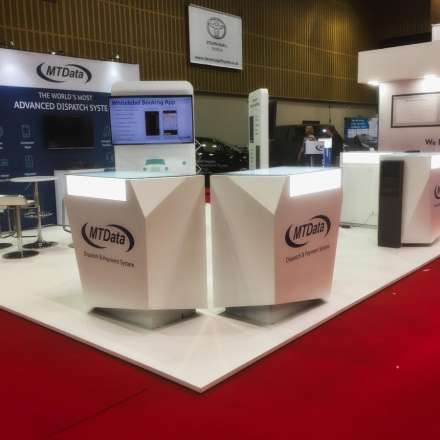 Weeks of work go into a big custom build project like this, each design and build decision leading towards a showcase that really has the potential to boost visibility, launch a new product or service, or just cement an established position in the market. 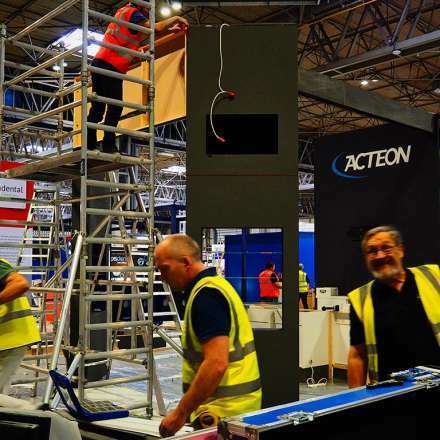 The prestige of the NEC is often the pinnacle in each industry for the various expos that take place around the country (and sometimes Europe), so the exhibition stands need to be on point to stand out from the crowd. 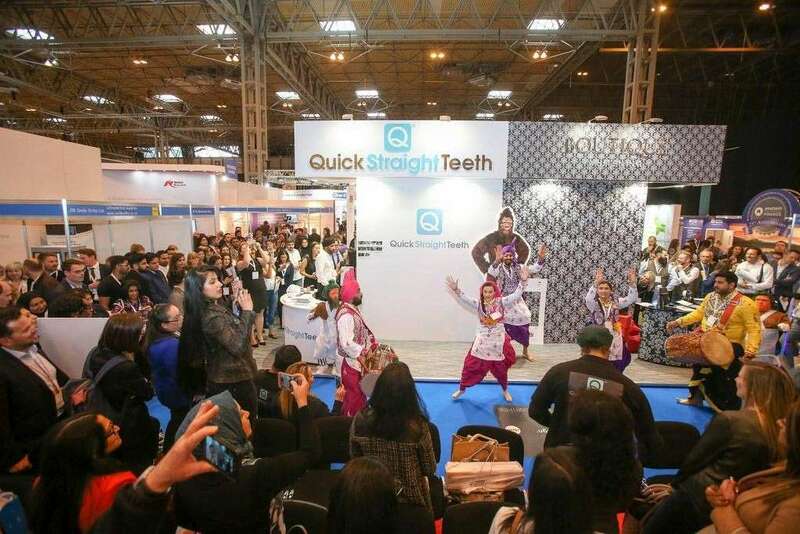 Avoiding the temptation to go for the outlandish or shout the loudest is a skill not all the exhibitors possess, and clearly a lot of money is spent here. This show is a big deal. 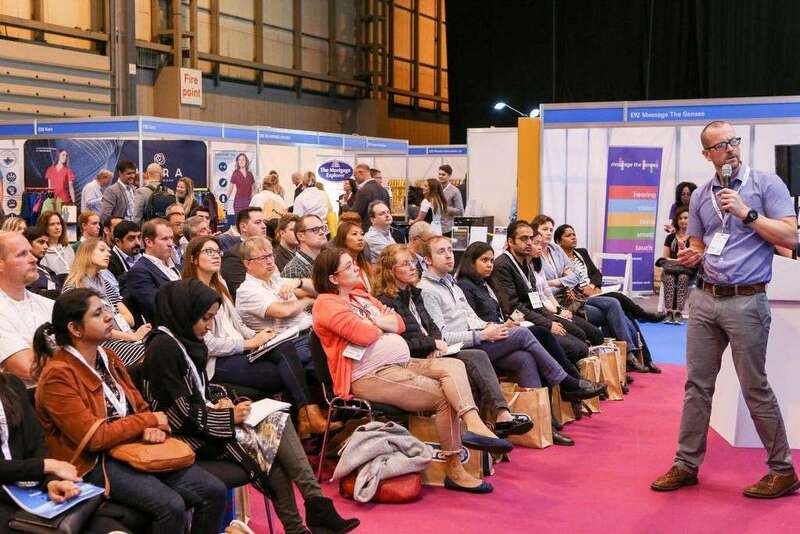 The Dentistry Show also serves an educative purpose, which takes some of the potential dryness away from what could otherwise be quite a niche event. 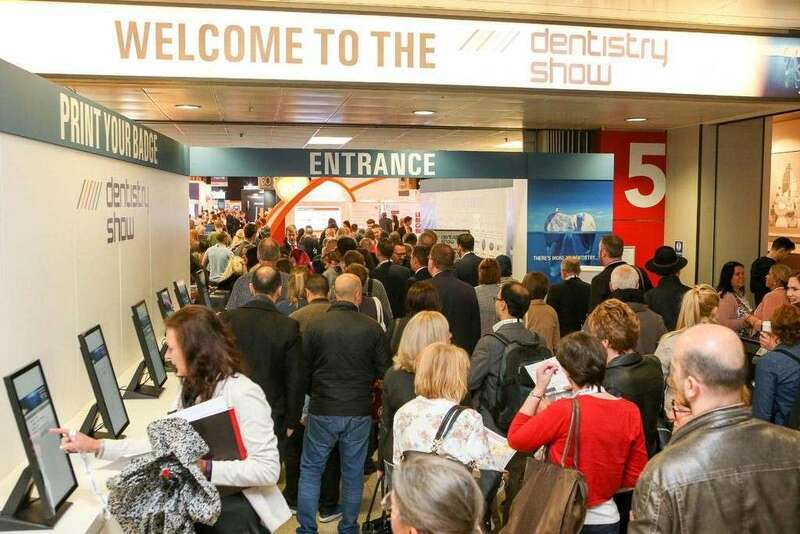 There are lectures going on in dedicated theatres, side-rooms and on individual stands. 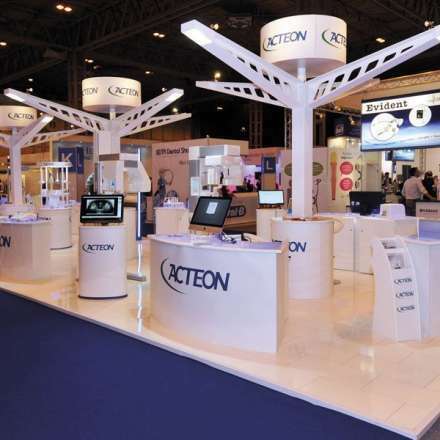 Some of the stands are also devoted solely to education, often with interactive displays or equipment. 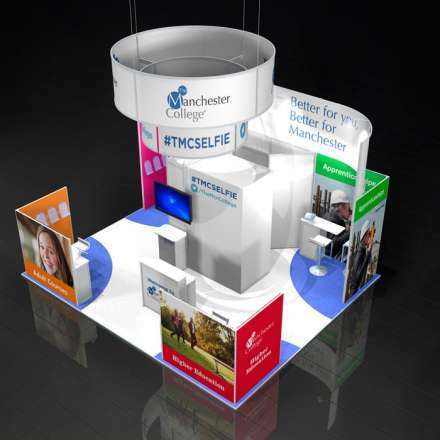 We think this mix of commerce and education elevates the show because of their complementary nature. Rather like when you plant flowers on an allotment; they might not yield anything directly edible, but they attract the insects that eat the pests on your prize veggies. 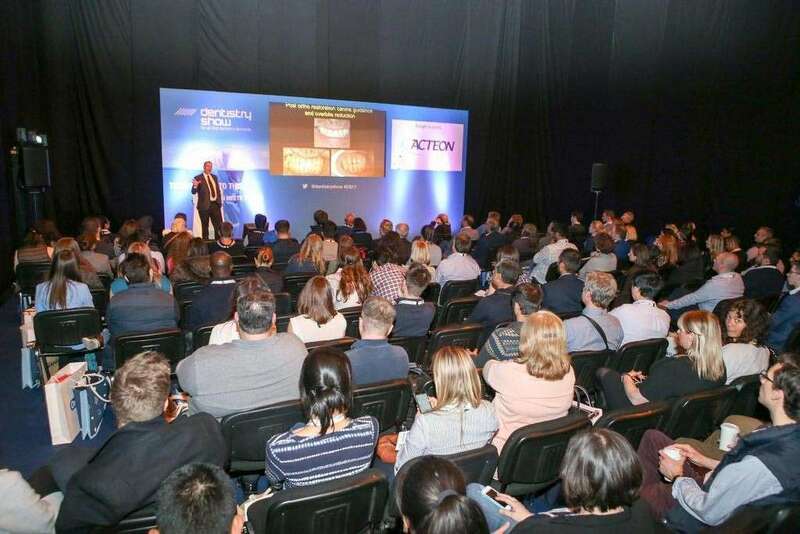 So from a commercial point of view, it makes absolute sense to create more of a buzz and have a broader audience. 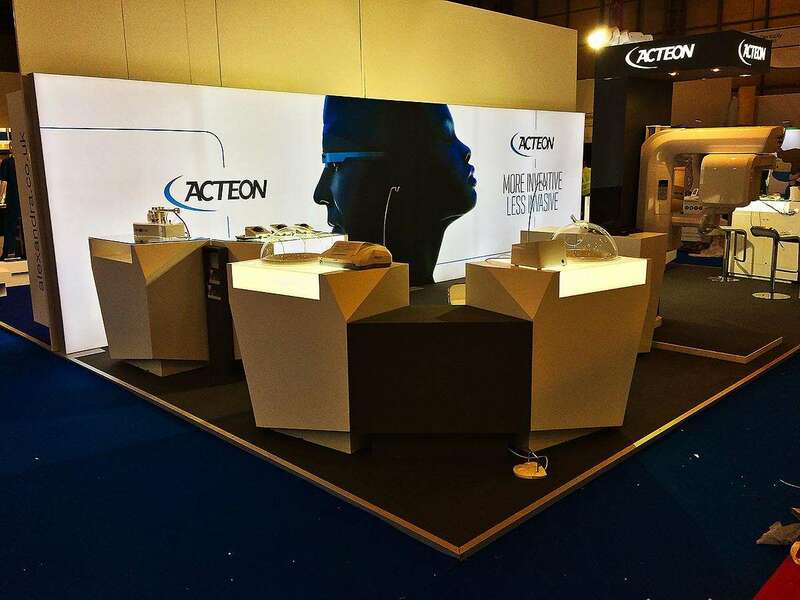 Acteon Group is a leading international dental equipment company. 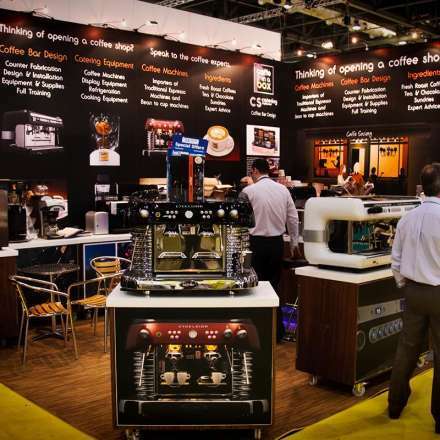 It boasts highly-regarded expertise in the areas of electronics and micro-mechanics. 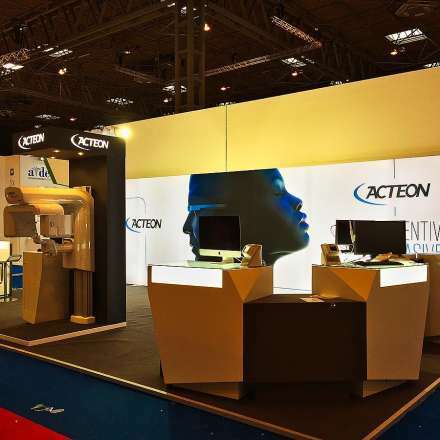 Its growing list of specialist equipment includes piezoelectric ultrasonic generators, a phosphor plate scanner and a 3D cone beam panoramic x-ray. In other words, this is not stuff you can pick up at the local supermarket. 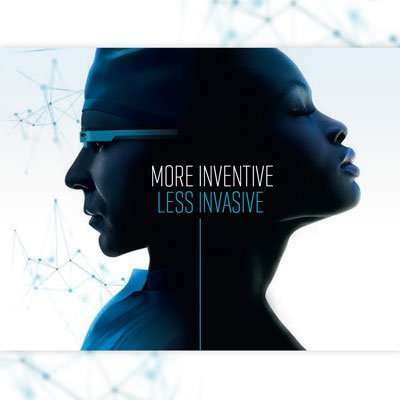 It is at the forefront of research and design, with leading-edge technologies to boot. Disappointed by large voxels? This baby has the smallest on the market (75µm). Need cephalometry? You got it. Wish the secondary collimation didn’t have to be on the cephalometric arm? Wish granted. 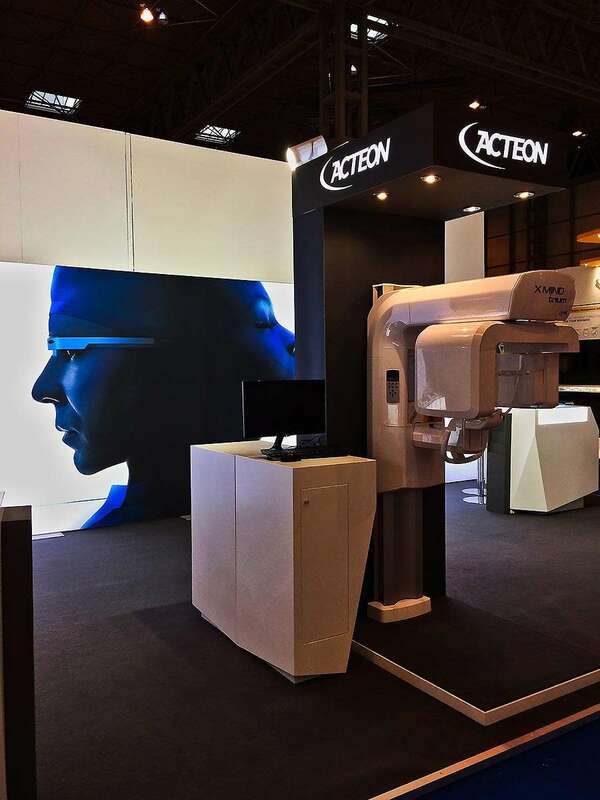 Want your patients to be exposed to less radiation? Try 30% less. Boom. 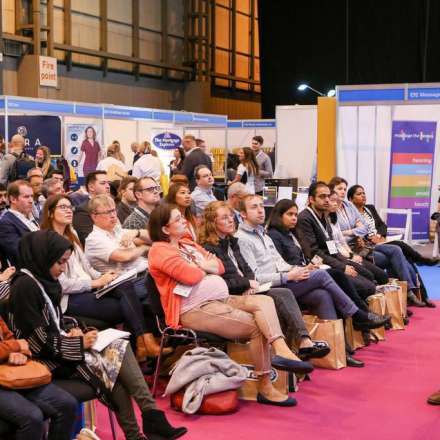 Joking aside, one of the absolute joys of what we do at Rounded Edge is meeting and working with people from such a wide range of industries. Whatever product or service needs to be represented, we are first and foremost the facilitators; it’s your show. No, we’re not pretending to be experts in dentistry. 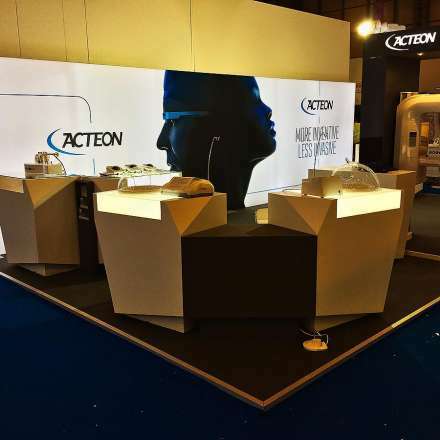 Working with a client like Acteon gives us the chance to help them get their message out to their trade, reach out to their potential clients, underline their unique selling points, highlight their new products. 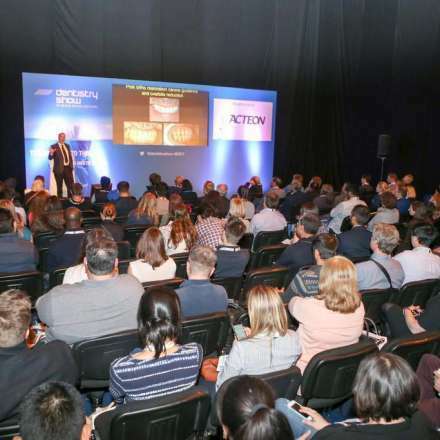 Their USPs may be specific, but the punters at these trade shows know what they’re looking for and are, of course, themselves industry-specific. 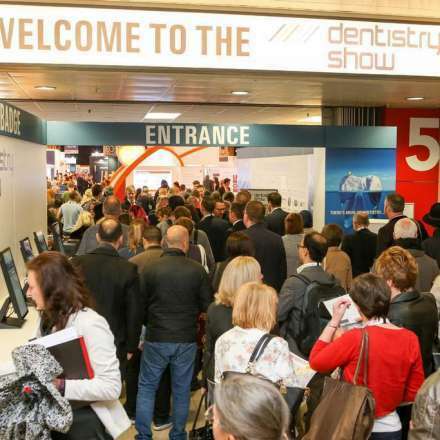 What’s the collective noun for dentists? A drill? 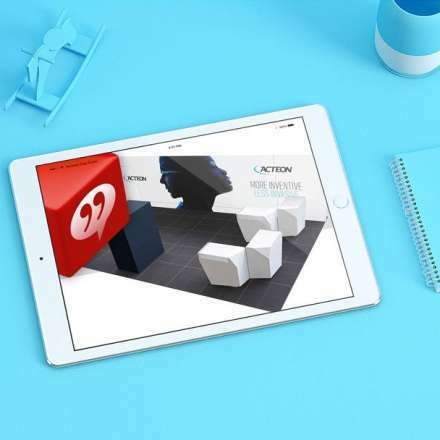 To design the right showcase requires a little industry-specific knowledge from the client, but mostly empathy and experience. 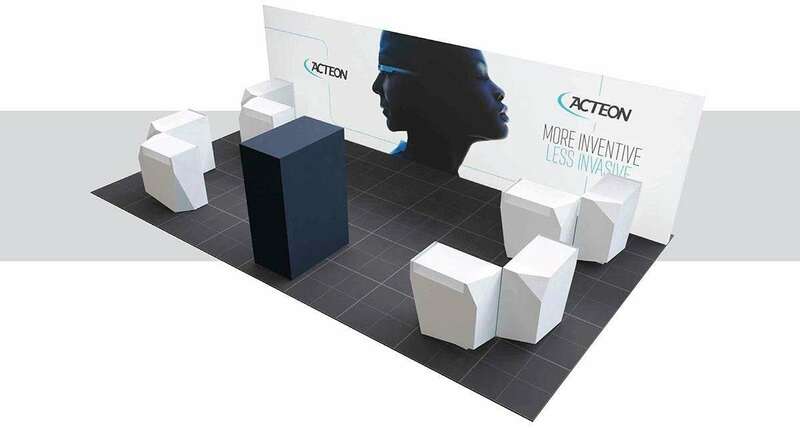 Because although the possibilities and feasibilities evolve with time as we innovate our own new exhibition equipment, systems and techniques, we often need to rather hastily turn a vision into a reality. When speed is of the essence, it’s great to be able to draw on the knowledge of similar projects. 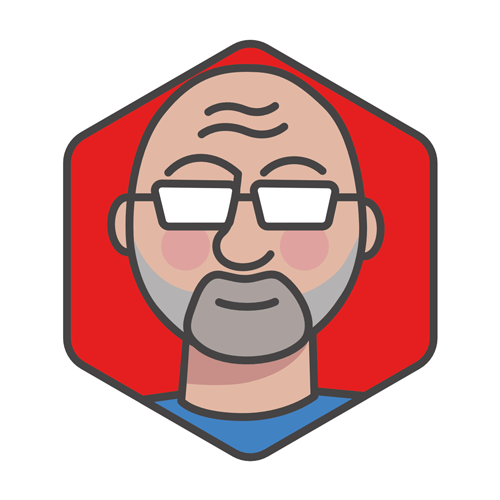 And in this case, a client we’ve worked with many times before, which also helps enormously. 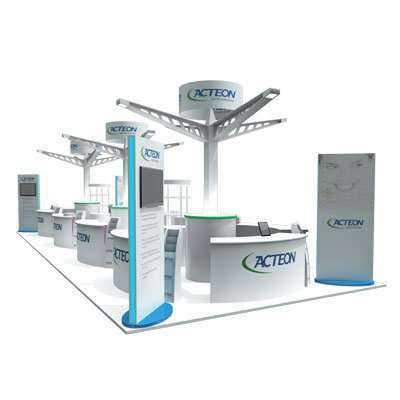 The concept for the Acteon stand was based on minimalistic product display around the front and side edges of a large 9x5m space. 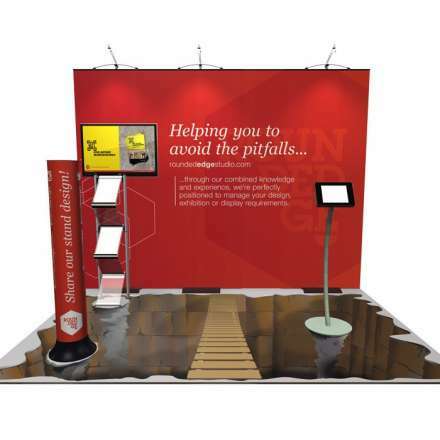 The open sides and front enabled maximum exposure for footfall around the stand. 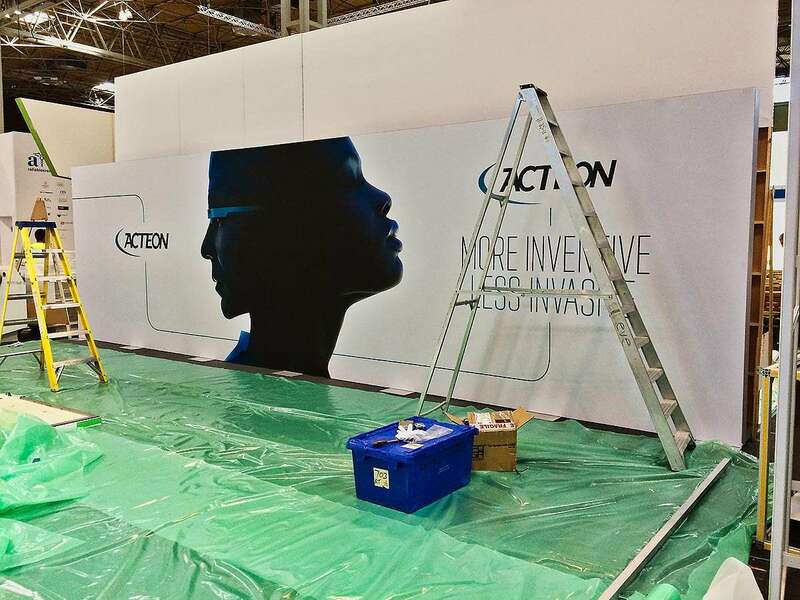 Drawing the eye towards the stand were the products themselves, but also a huge 9m lightbox running the full length of the back end. 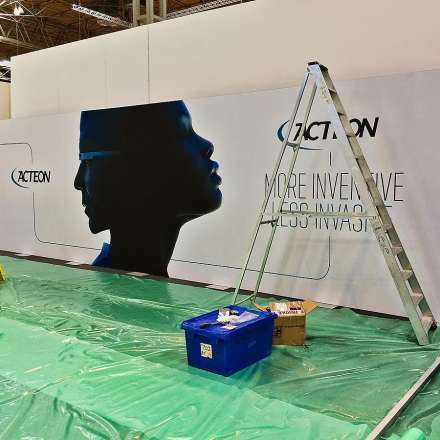 We’ve designed and built many of these lightboxes now, always completely bespoke, but rarely as large as this one. 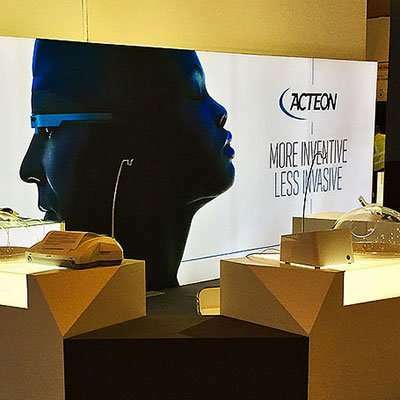 The graphic used for the lightbox was an adaptation of one of Acteon’s marketing images, perhaps its most striking. 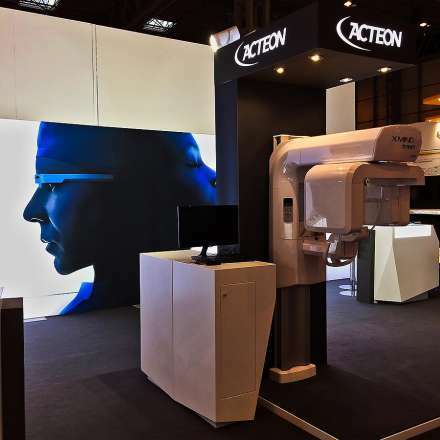 Predominantly light, but with a dark central section, this backdrop served to both emit plenty of ambient light and also draw the eye to the centre, in front of which stood the Xmind Trium. So this became the centrepiece, both figuratively and literally. And to do it justice, we designed a bespoke unit with power, lighting and computer connectivity. 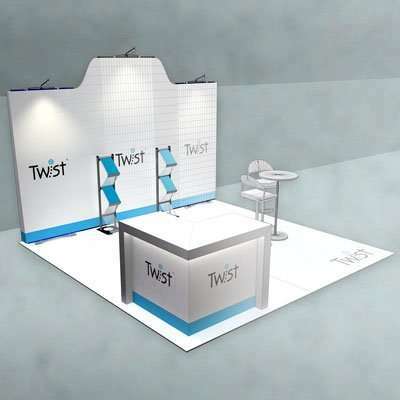 The other products were beautifully displayed on 8 lit counters, itself a last-minute change from the originally intended 6. All of this sat on a raised floor covered in a laid dark grey carpet. 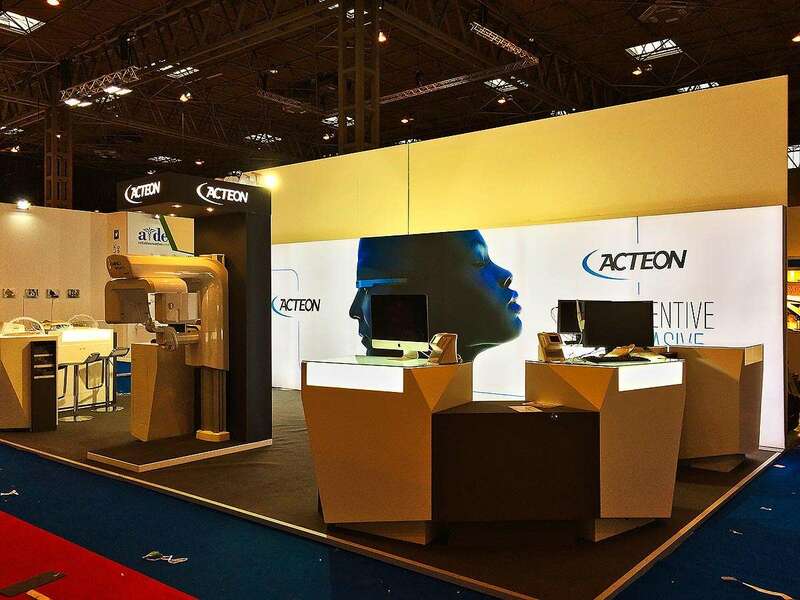 Acteon UK’s Marketing Manager, Cherie Hampton, was kind enough to provide a testimonial on the back of our collaboration on this show. Follow the link below to find out what she had to say. I always find the team at Rounded Edge professional and hard-working. They strive to achieve a constant level of outstanding service.